I've slowly upgraded my manual safety SP-01 over the last couple of years. We can't buy the Shadow or Tactical Sport variants here in Commiefornia unless we buy PPT and those come with a hefty 100% markup. We have to settle for tricking out the plain Jane SP-01. My latest upgrade is the S2 mag release. What a difference. I love the serrated texture but more so, I can now easily drop the mag without having to adjust my grip. Really nice, easy change for anyone that has trouble reaching the mag release. Only thing left to do this gun is the 10x bushing which I was planning to change out this weekend but I ordered the wrong one. Placing a call tomorrow to order it. Should get it by Friday and get it dropped in Saturday for some range time. This gun has been a work horse for me. Thousands of rounds, several matches and no failures. None. And she's a tack driver. Really nice shooting gun. The action is butter. Love this pistol. Nice! Was it a direct swap or did you have to fit anything? Hiya and thx for the thread,you've done nice projects under the circumstances. And glad the feature was avail to adapt to your platform much to your delight. Be well. Total drop in. No fitting whatsoever. Took all of 10 minutes. 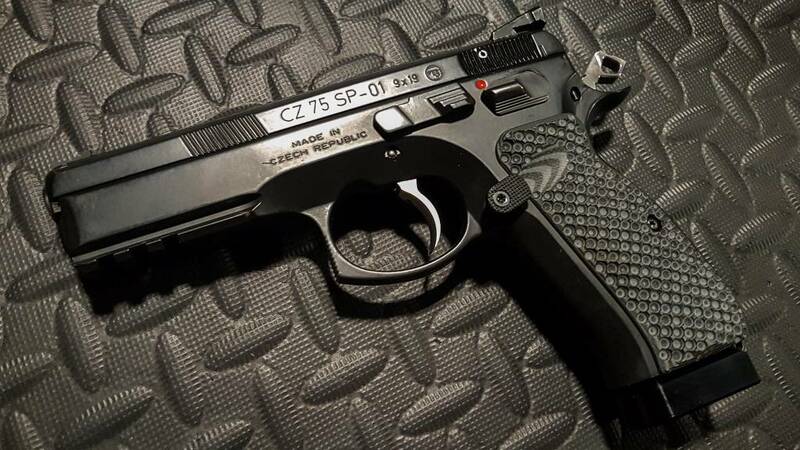 I should add that CZ USA has it stock. Or at least when I ordered last week. Everyone has been out of stock for a while.